For quite a while it seemed like networking technology was stagnant and perhaps it was. But now that I'm looking at wiring up a house with cat 6 (or better) cable and ubiquiti routers and access points its clear that THINGS CHANGED without someone personally telling me. Anyway, I'm going to return to my single router/access point life for the time being. Bonus points for anyone who can tell me if I need to use rider or plenum rated cable for runs between a basement and first floor. 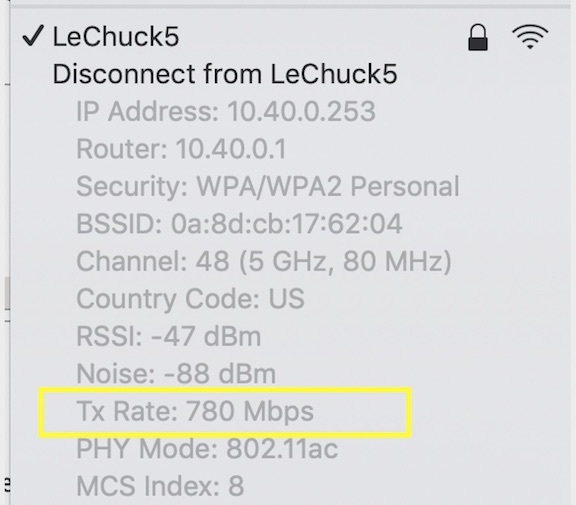 Wifi too - using post 2015 macs networked with wifi is remarkably faster than using 2010 macs. I would say just follow the local building codes for running Ethernet or electrical cable through chases between floors. Plenum rated cable is for locations that run cables through active air ducts. I wouldn't expect a building inspector to require it for a residential site unless you made a huge production of obviously running your cables through your heating/AC ducts. Plenum is required for use in spaces that are used as air returns, typically above drop ceilings. You'll be fine using riser rated cable. As to your original observation, it is the huge demand for Wi-Fi in all spaces that is finally driving forward advancements in local area network standards, while wholesale migration to cloud services is driving forward growth in data center technologies. Edited 2 time(s). Last edit at 04/13/2019 06:55PM by N-OS X-tasy!. ...and now I'm trying to figure out which cabling standard I should run. Currently looks like Cat 6A - Cat7 is expensive and so is 10GB ethernet. Even if I installed I wouldn't have a way to test it. Wouldn't have a need for it, just trying to future proof it. If you're trying to future-proof, I'd suggest using conduit, so it would be easy to upgrade the cable in the future, if needed. Cat6 at the minimum. Cat 6A would be nice. Cat 7 is overkill. I always just run Plenum rated, it isn't that much more expensive and is a guarnatee it will be up to code, plus it is typically a higher quality cable. I've done thousands of runs and there are always ones that fail, no matter how careful you are or how good you are at it. Make sure your keystone jacks and patch panel are for the same type as your cable. A Cat 6 patch panel won't work well with Cat6A cable. Different thickness of the cable. If you are going to mix cable types either do 2 different patch panels or get one of the patch panels that uses keystones in it. Edited 1 time(s). Last edit at 04/14/2019 12:56AM by C(-)ris. Cat 6 will support 10 Gbps for cable length up to 55 meters and 1 Gbps for cable length up to 100 meters. Cat 6A will support 10 Gbps for cable length up to 100 meters. Cat 7 is primarily used in Europe - you needn't worry about it. Cat 8 supports up to 40 Gbps over relatively short cable lengths (<50 ft) and is typically used only in data centers at this time.